Pets age five to eight times faster than humans. By age two, most pets have already reached adulthood. By age seven many dogs, particularly larger breeds, are entering their senior years. Because pets age so rapidly major health changes can occur in a short amount of time. The risk of cancer, diabetes, obesity,arthritis, heart disease and other serious conditions all increase with age. A lot of diseases can be subtle at the beginning, which is why a trained eye is best- your pet may appear healthy to you but we often identify small problems before they become too big. 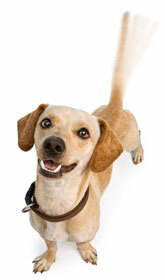 Most pets should come to the clinic at least once a year for their vaccinations, and are checked at the same time. When indicated, we recommend bloods or urine testing.